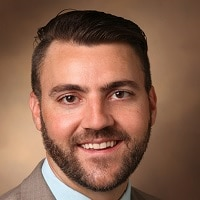 Dr. Patrick is Director of the Vanderbilt Center for Child Health Policy, an Assistant Professor of Pediatrics and Health Policy at Vanderbilt University School of Medicine, and an attending neonatologist at Monroe Carell Jr. Children’s Hospital at Vanderbilt. He is a graduate of the University of Florida, Florida State University College of Medicine, and Harvard School of Public Health. Dr. Patrick completed his training in pediatrics, neonatology, and health services research as a Robert Wood Johnson Foundation Clinical Scholar at the University of Michigan. Dr. Patrick’s National Institute on Drug Abuse-funded research focuses on improving outcomes for opioid-exposed infants and women with substance-use disorder and evaluating State and Federal drug control policies. He previously served as Senior Science Policy Advisor to the White House Office of National Drug Control Policy. Dr. Patrick is a member of the American Academy of Pediatrics Committee on Substance Use and Prevention and has been a voting member on several U.S. Food and Drug Administration advisory boards focused on opioid use in children. He has testified about the impact of the opioid epidemic on pregnant women and infants before committees in both the U.S. House of Representatives and the U.S. Senate. Dr. Patrick’s awards include the American Medical Association Foundation Excellence in Medicine Leadership Award, the Academic Pediatric Association Fellow Research Award Tennessee Chapter of the American Academy of Pediatrics Early Career Physician of the Year, and the Nemours Child Health Services Research Award. His research has been published in leading scientific journals including the New England Journal of Medicine, JAMA, Pediatrics, and Health Affairs.